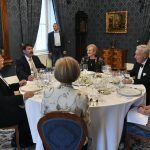 “Tell the truth about the Hungarians and the truth to the Hungarians, this is what we want,” said E. Sylvester Vizi, the Chair of the Board of Trustees of the Friends of Hungary Foundation to Magyar Idők. 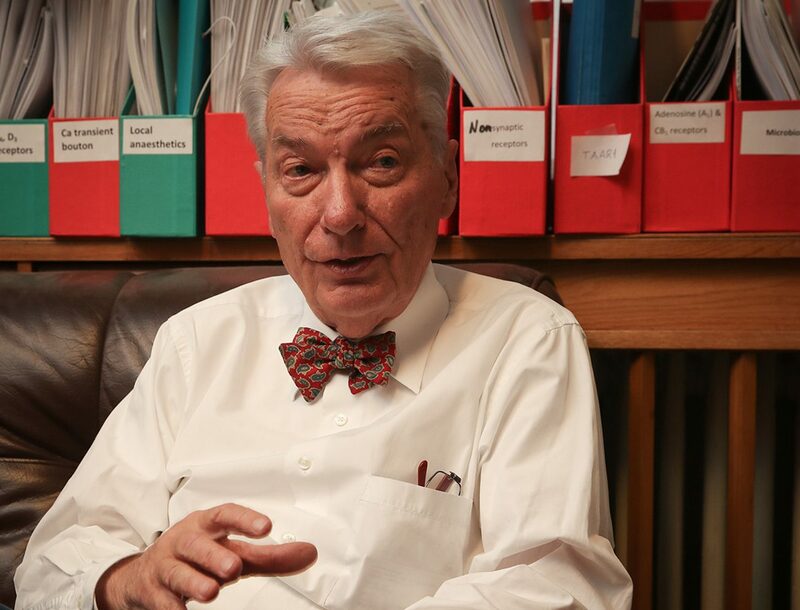 In a recently published interview, the former President of the Hungarian Academy of Sciences spoke in detail about the Foundation, publisher of Hungary Today and Ungarn Heute. Last week, the foundation held their second annual international conference giving journalists an opportunity to experience Hungarian politics, economics and culture first hand. Vizi told the Hungarian news portal that the aim of the foundation is to show the true face of Hungary and Hungarians. He added that he believes people should organize their lives according to values rather than interests. The former president of the Academy, who currently acts as the president of the Hungarian Atlantic Council, revealed he doesn’t think Hungarian people want to leave NATO or the European Union. He thinks the Hungarian government does not want to go against the will of the people, especially given that NATO accession was supported by 85 percent of the population. The Friends of Hungary Foundation formed in 2011 with the goal of building a bridge between Hungary, Hungarians living abroad and people who like Hungary. They aim to inform Hungarian communities across the world about Hungarian politics, economics and culture in a value-oriented, impartial way. He added that many Hungarians have been successful abroad and are proud of their origins, and Hungarians can also be proud of them. The founders of the Foundation include György Oláh, Nobel Prize-winning chemist; Sándor Lámfalussy, economist; Andreas Oplatka, journalist; Eva Márton, world-famous opera singer; Sir George Radda, assistant in the development of the MRI and Alfréd Pasternák, gynecologist who served as a doctor for the daughters of one of the presidents of the US. They all share one very important value: they want to show the true face of Hungary to the world. He talked about the five successful conferences of the Foundation–the last was held this past May–and described how members of the Friends of Hungary Foundation traveled to Budapest from every corner of the world (a total of 181 people from over 20 countries) at their own expense in order to spend the weekend together, exchange ideas and raise awareness of Hungary’s and each other’s successes, challenges and problems. Vizi also talked about the Foundation’s recent conference for foreign journalists. The Foundation introduced the journalists to Hungary’s people, culture and history. He said that by familiarizing them with Hungarian history – the 150 years of Turkish rule, followed by the Habsburg dynasty and the decades of Soviet oppression – the western journalists could see the Hungarian reality with Hungarian eyes and better understand Hungarian politics as a result. Visiting the House of Terror also had a profound emotional impact on them. The Chair of the Board of Trustees said that some people are accusing Hungary of fascism and antisemitism. For example, last year, Rabbi István Darvas shared his opinion on the matter during the conference. Some journalists were surprised by the number of tourists on the streets, especially given that there were not counter-terrorist units on every corner. Vizi told the newspaper that the whole event was financed by the Foundation and they didn’t ask anything in return. Even journalists critical of Prime Minister Orbán attended the conference. Vizi said the participants were surprised by the many notable Hungarian successes: Gedeon Richter Plc, the Hungarian-owned multinational company and the list of Hungarian engineers, inventors and Nobel laureates. Vizi added that they are planning to receive another group of journalists in the autumn. The foundation’s aim is to bring together Hungarians who share a love of truth and celebrating Hungarian culture and accomplishment. In his opinion, Hungary does these things not only for its own good, but for the good of Europe as well.